Self renewal and proliferation of stem cell populations is controlled, in part, by induction of apoptosis. The number of stem cells is therefore a balance between those lost to differentiation / apoptosis and those gained through proliferation. Apoptosis of stem cells is believed to be a dynamic process which changes in response to environmental conditions. 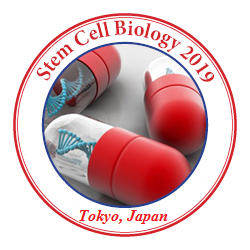 For example, the release of stem cell factor inhibits apoptosis following spinal cord injury, presumably in an attempt to promote tissue repair. Dysregulation of apoptosis in stem cells is believed to underlie some cancer pathologies, where apoptotic resistance results in uncontrolled growth (i.e. glioblastoma). Controlling apoptosis is also an important focus for studies of stem cell transplantation, where inhibition may increase the survival of grafted cells during replacement therapy. Harnessing the full therapeutic potential of stem cells will require full elucidation of the signal transduction cascades for proliferation, differentiation, and apoptosis.